The value of a home, as a number, is determined by a licensed Appraiser. But Market Value is determined by how much a buyer is willing to pay at any given point in time. There are many things you can do to increase the Market Value of your home. If you are thinking of selling, you need to review this list and see how you can maximize the return on your investment! 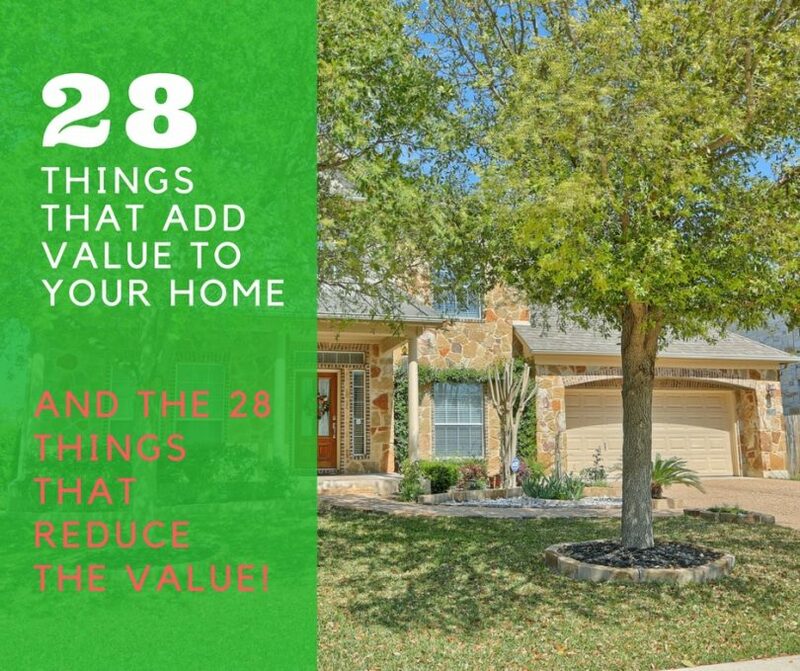 Enter your contact info below and receive an email with the PDF of our list of 28 Things That Add Value to Your Home and the 28 Things That Reduce the Value of Your Home.